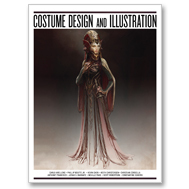 Spearheaded by Constantine Sekeris, author of MetamorFX, this book is an in-depth look at costume design and illustration. Showcasing an educational process breaking down the problematic areas of costume design for the ﬁlm, video game and animation industries. 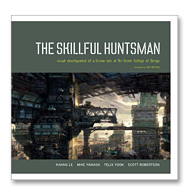 From 10 top leading artists in the ﬁeld, this title will have a wide range of aesthetic and design solutions. One will learn how to design and illustrate a costume from start to ﬁnish with educational tips and the process from sketches to ﬁnished Photoshop images to 3D ZBrush sculptures to fabrication. 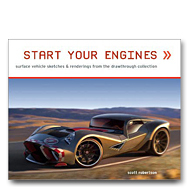 DRIVE features Scott Robertson’s very latest vehicle designs intended for the video game space communicated through skillfully drawn sketches and renderings. 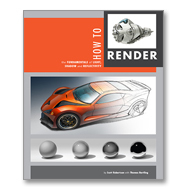 DRIVE builds upon the success of his prior two vehicle design books, Start Your Engines and Lift Off. 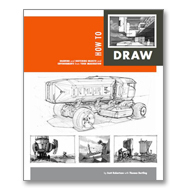 Featuring four chapters, each representing a different aesthetic theme, Aerospace, Military, Pro Sports and Salvage, conceptual sports cars, big-rigs and off-road vehicle designs are beautifully represented through traditional and digital media sketches, and renderings. 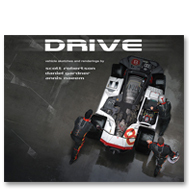 DRIVE features Scott Robertson’s very latest vehicle designs intended for the video game space communicated through skillfully drawn sketches and renderings. DRIVE builds upon the success of his prior two vehicle design brooks, Start Your Engines and Lift Off. 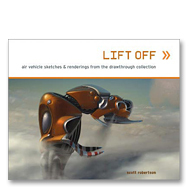 Anyone interested in air vehicle sketches, concept design and color renderings of the subject will be eager to add Lift Off to their library. Lift Off presents personal and professional works by Scott Robertson, Program Director of the Entertainment Design major at Art Center College of Design. 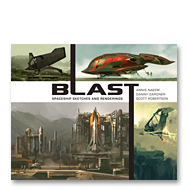 This book features the following chapters: Airships, Spacecraft, Aircraft, Lefty Sketches, Hovercraft, Original “Card Collection” and selected work from the conceptual design of vehicles for the video games Field Commander and Spy Hunter 2. In the Fall of 2001, a group of seven conceptual designers gathered together in Los Angeles to begin work on a new creative experience. At the heart of their coming together was a desire to create and explore new images and ideas in a creative environment apart from their normal design jobs. 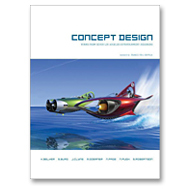 A presentation of the efforts of this group is available in the form of the first Concept Design art annual. 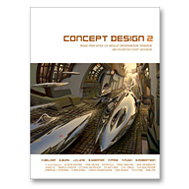 Concept Design contains nearly 300 original color works by the seven contributing designers. 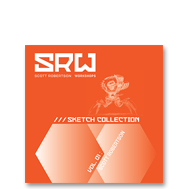 In addition to the 84 Concept Design pieces, support sketches and roughs appear throughout the book. Each piece is accompanied by text detailing the design ideas and/or illustration techniques used. Concept Design is printed with quality as our primary focus. 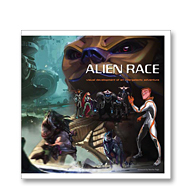 The book is 9”x12” in a vertical format with eight fold-out pages which allow for the printing of sixteen large horizontal images. No images cross the binding of the book, breaking the image.